presents with videos. This post will give an overview over the general developments and advantages of video marketing of bloggers and fashion labels. Today, the range of Internet marketing strategies that can foster product awareness among the target market is huge. And since it is additionally considered the most cost-efficient method of promotion, video marketing remains one of the favorite policy by online business owners.It has been said that this audio visual scheme of advertisement is one of the best medium of reaching the right attention of the target audience. Naturally, the videos are hitting the market like that because most target users don’t have much time to go through reading the descriptions of the products or services. Watching a video will make things simpler as well as it poses an entertaining effect. Because of this, most users prefer websites that have video references along with the product description. 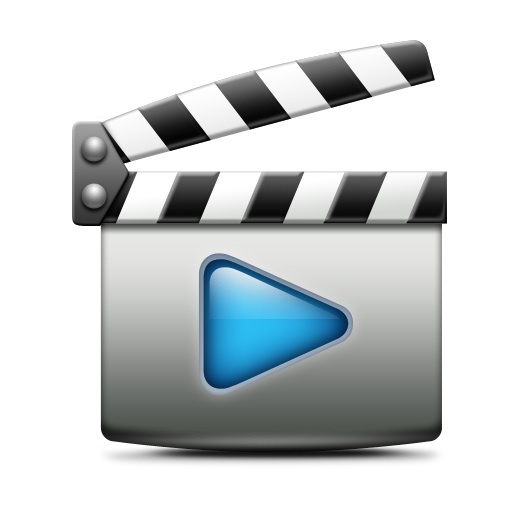 It is also pointed out that Websites that don’t have videos in it will most likely turn the visitors away from it. Moreover, Internet Marketing such as online video blogging, has increased rapidly within the last 2 years as numerous video ads appearing all throughout the net confirm. Obviously, video blogging is a more inter-activ form of blogging, offering new advantages to all bloggers, viewers and fashion enterprises. See an example of really popular online video blogs here and here. As I said in the beginning, videos are vital for today’s (fashion) enterprises. 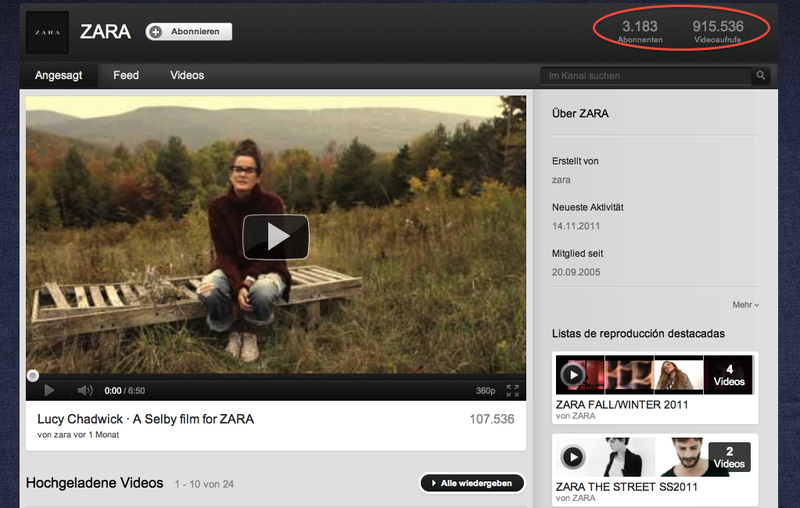 Nearly all of Inditex subdivisions have their own video channel on youtube. 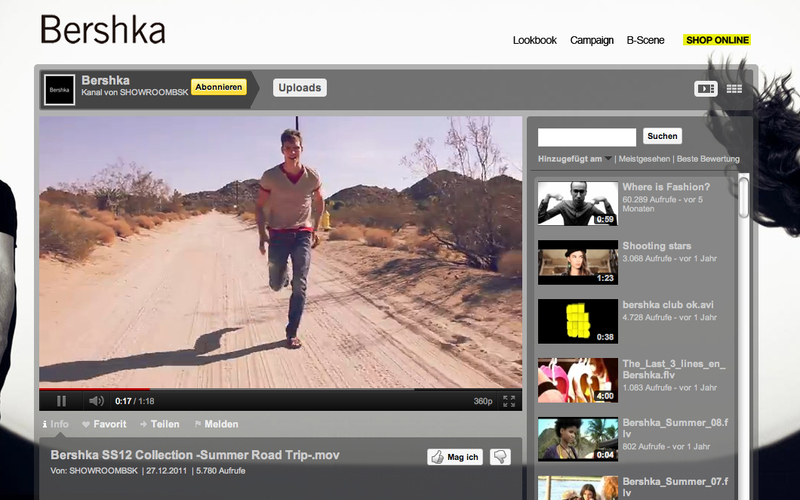 Zara, massimo dutti, pull & bear and bershka have a remarkable number of followers on their video portfolio. 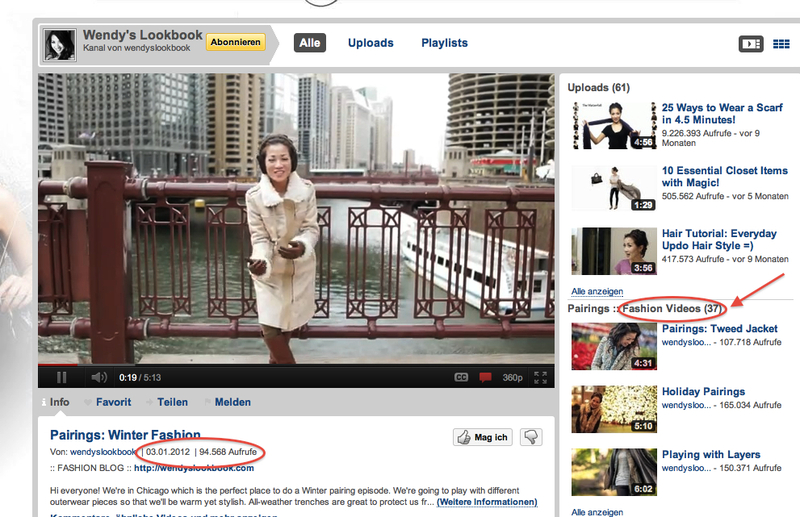 This post has hopefully shown, how video marketing is applied in the fashion and blogging industry. If you are seeking for advice how to optimize your personal (enterprize’s) video performance, see this interesting blog (german) oder for a english version, see here. I'm Inga, 21 years old, born an raised near Düsseldorf, NRW. I graduated from Highschool last year and studies one semester in Venlo, NL. I soon realized I wanted to leave the Niederrhein for a little bit. So glady, I got accepted to the HWR Berlin right away moved to this wonderful city just 2 weeks before the studies started. Besides studying I really like cooking and I just enrolled for the Berlin semi-marathon which kind of forces me to do a lot of sports right now. I chose to write about Inditex, because firstly I like its brands and secodly I think its a really interesting and innovative company I'd like to know more about. Nice work! I really think it is amazing how you keep finding new aspects of fashion marketing and always relating them to Inditex. It is great to have this kind of red thread when reading through your post! I am excited to find out what comes next!